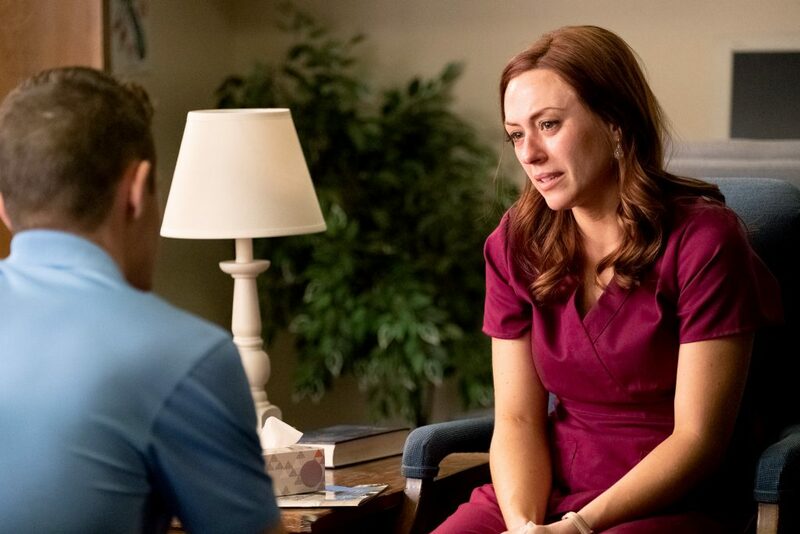 Ashley Bratcher, who plays Abby Johnson, is pictured in a scene from the movie “Unplanned”, the story of Abby Johnson, a former Planned Parenthood clinic director, and her decision to join the pro-life movement. Photo: CNS. The hard-hitting, fact-based drama Unplanned (Pure Flix) dares its viewers to confront the reality of what happens when a baby is aborted. That’s an effective strategy on the part of co-writers and directors Chuck Konzelman and Cary Solomon, not least because the peculiar institution of our day thrives on concealment, muddled thinking and Orwellian euphemisms. But it also means that this emotionally unsparing film is not for the casual moviegoer of any age. Adapted from the eponymous 2011 memoir by Abby Johnson (Ashley Bratcher), Unplanned traces her steady rise to become one of the youngest Planned Parenthood clinic directors in the country. Yet it also shows how she gradually became uneasy about the organisation’s marketing of abortion. The conversion in her outlook reaches a dramatic climax when Abby is asked to assist a doctor performing the procedure and witnesses via sonogram what it actually involves. As the child in the womb tries to move away from the suction tube and medical containers quickly fill with blood, this scene may prove as upsetting for the audience as it was for Johnson. Her new stance is welcomed by Abby’s husband, Doug (Brooks Ryan), and parents Kathleen (Robin DeMarco) and Mike (Robert Thomason), all of them pro-life. It also brings reconciliation with some of the protestors she once considered adversaries, including 40 Days for Life activists Shawn (Jared Lotz) and Marilisa (Emma Elle Roberts). Unsurprisingly, Abby’s ornery former superior, Cheryl (Robia Scott), views her change of heart in a different light. Once Abby’s mentor, infuriated Cheryl becomes the moving force in a lawsuit against her ex-protege as well as against Shawn. Kaiser Johnson steals this portion of the picture playing Shawn and Abby’s unflappable lawyer, Jeff. While Cheryl is clearly the villain of the piece, the script avoids demonising all those associated with Planned Parenthood. Nor does it present all pro-life activists in a positive light. Whether this sense of balance will give Unplanned any traction with supporters of legal abortion is open to question, however. Given that the full horror of slaughtering the unborn is on display here, the parents of older teens will have to decide whether the informative value of Abby’s story outweighs its disturbing elements. Those also include a sequence showing the sufferings Abby endured after taking RU-486 in the second of her own two abortions. The film contains gruesome images of abortion and dismembered foetuses, much medical gore, a mild oath, a few crass expressions and a vague sexual reference. The Catholic News Service classification is A-III – adults. The Motion Picture Association of America rating is R – restricted. Under 17 requires accompanying parent or adult guardian.